Trim moldings to a room are like accessories to an outfit. They can adorn a plain Jane room and make it a true showpiece. 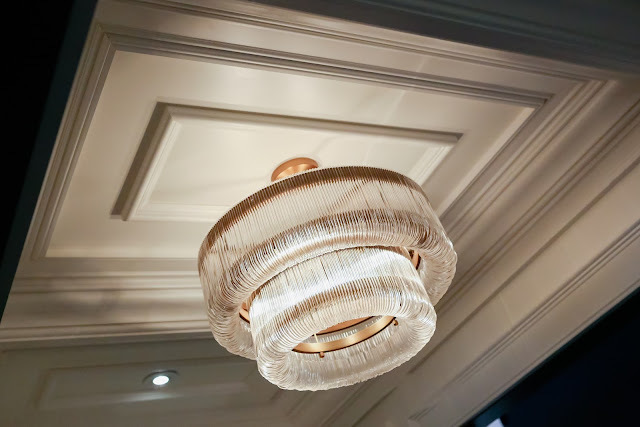 Moldings offer interesting architectural detail that can make a dramatic difference. Your imagination is not limited- trim can be added to walls, to ceilings, around windows and doors, and along architectural features such as fireplaces, built in bookcases and kitchens. There are all kinds of moldings to purchase from paintable, stainable woods to pre-finished woods which do not have to be painted! 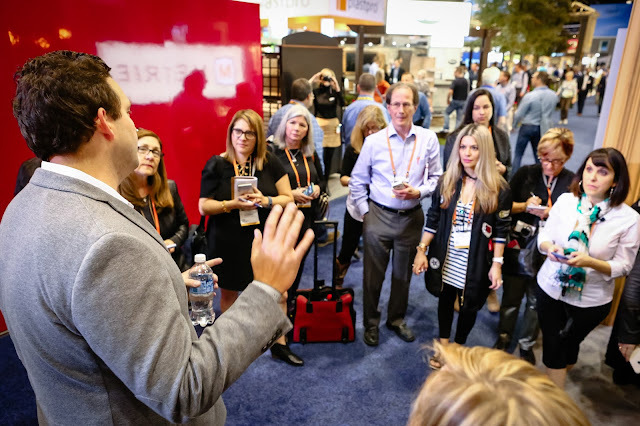 So meet Metrie, a supplier and manufacturer of wood and molding who I was introduced to at the Kitchen and Bath Industry show in Orlando Florida (KBIS). 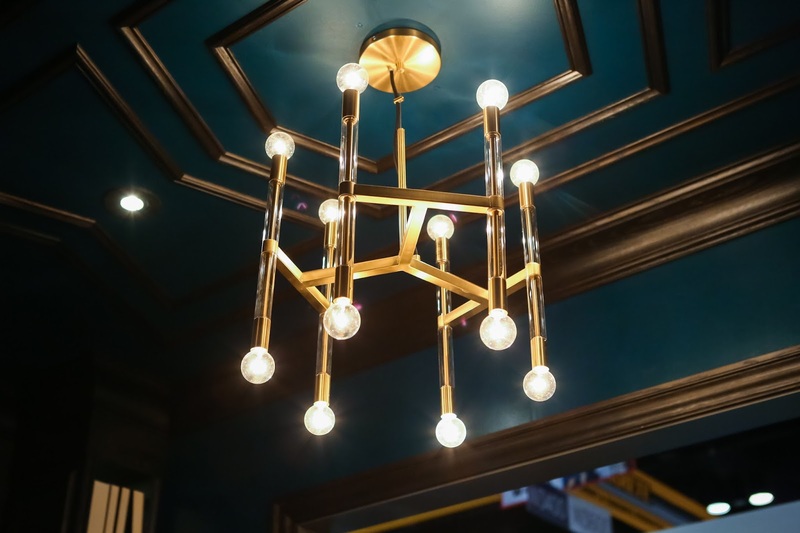 Metrie is all about the details and is dedicated to creating crafted architectural elements and makes sure their product meets the highest standards for quality and design. For the contest, we had to post on Instagram what Metrie product most inspired us. I posted the above image and won an Apple Watch with a Lux Wood watch band. I have to say, I really really love my watch...thankyou so much Metrie, great contest idea!! I will never look at moldings the same. 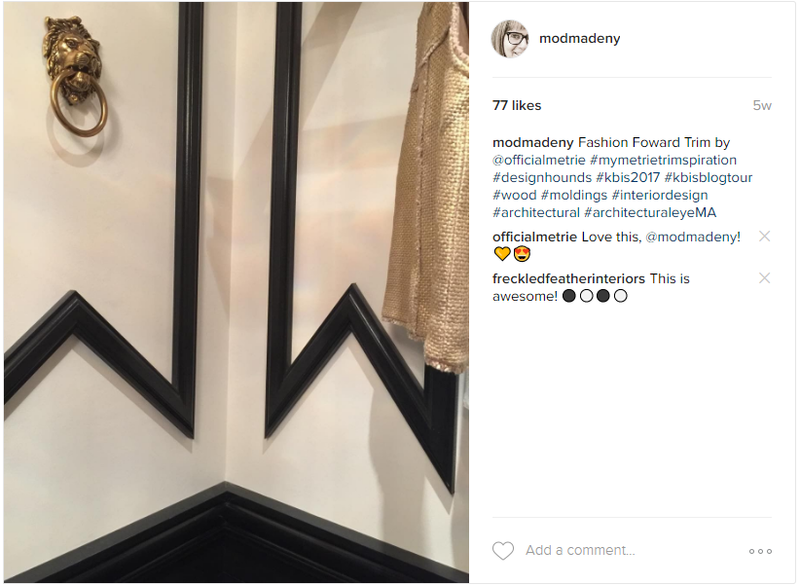 Metrie displayed different ways to use moldings. Designer Andrew Pike's take on the Very Square Finishing Collection for a wine cellar look was a fave. He used a rich gray color that gives a traditional stye a very modern feel. You really can be imaginative and not break the bank. Just use moldings, Metrie ofcourse!